I understand that they shouldn't be square to avoid confusion with checkboxes and that today they should be circle for consistency, but why were they originally chosen to be circular? I've never seen a radio with pop buttons (that radio buttons are named after) with circular buttons, always rectangular. Is there any affordance that a circle offers that another shape or designation lacks? It seems to me that if you want to invoke the metaphor of this, the buttons should be rectangular. The earliest appearance of circular radio buttons that I can find is in Apple Macintosh System 4 (1987). 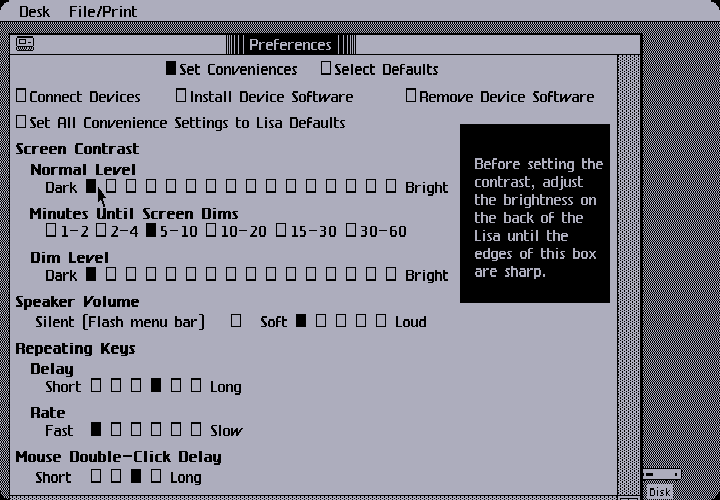 Prior to that Mac OS used squares with beveled corners, which was probably just computationally easier to draw and better-looking on non-anti-aliased low resolution screens of the time. The general favoring of rectilinear shapes was dictated by the primitive graphics. I don’t know of any source providing a reason for going with circular, but chances are square was the obvious choice for the checkbox, as they often appear square on paper forms, so designers picked the most obvious non-square shape. Rectangular could look too much like a command button. It's vital not to mistake a command button for a radio button because a command button activates (possibly irreversibly) something immediately. You want to signal to the users that they're making a commitment of sorts. Radio buttons typically don't take effect until the user clicks the dialog's OK command button. So if not square or rectangular, then what? Triangular? Hexagonal? Motif and IRIX used diamond-shaped radio buttons, which I’d rank as the next-most-obvious non-square shape. You say that circular is incompatible with the radio button metaphor, but that’s not necessarily true. There were some car radios with circular buttons, which may have been the inspiration. Personally, I doubt it. 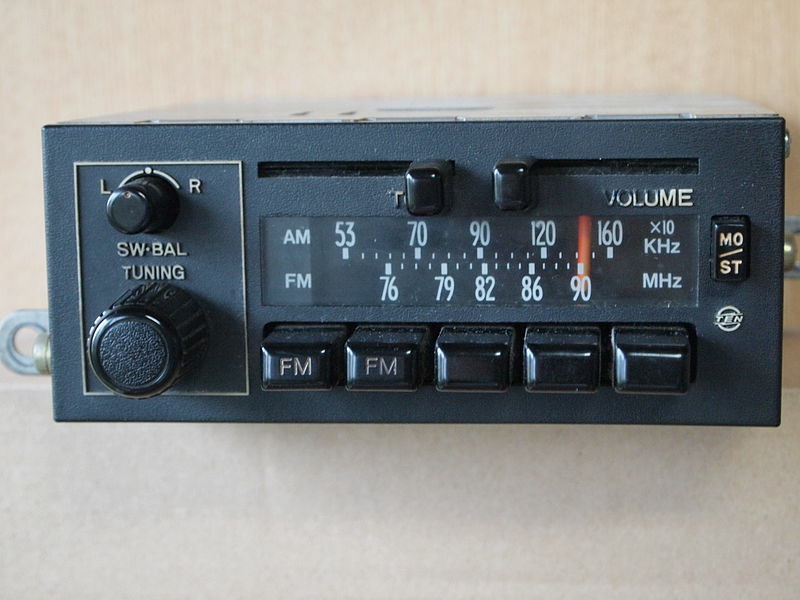 I believe such radios date primarily from the 1950s-1960s, not the 1980s when these GUIs were designed. There are rectangular toggling buttons in GUIs that more accurately mimic common car radios from the 1980s, if you’re interested in invoking that metaphor. Actually, the radio button metaphor is a geek thing, not a user thing. Users were not supposed to make the connection to car radios. The Apple Publications Style Guide of 2006 advises tech writers to “Use radio button only in developer documentation; use button in user documentation” (p127). 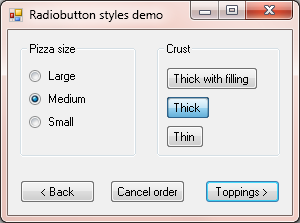 Up until Windows XP, MS referred to radio buttons as “options buttons.” It’s only important that they look like buttons of some sort, which are often circular, and almost never diamond or triangular. 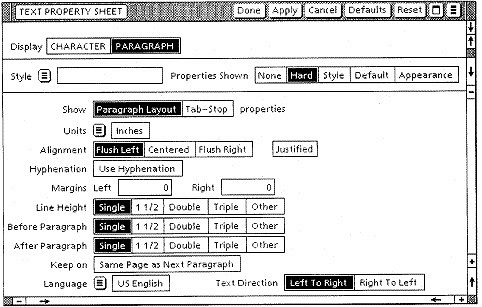 Despite the presence of “buttons,” GUIs, including dialog boxes, owe most of their visual design to a paper-and-desktop metaphor, rather than a control-panel metaphor. They're basically virtual forms to fill out. Text boxes and check boxes obviously come from paper forms. Perhaps circular radio buttons were inspired by optical scan sheets, where a person fills in small circles or ovals with a Number 2 pencil. On such sheets (such as used for SAT tests), the users should only pick one choice in a set, so that’s an apt metaphor. That would also explain why radio buttons are small (smaller than command buttons) and turn black (in most UIs) when selected. That’s what I tell users as a mnemonic anyway. I can't provide a citation on this, but I'm assuming that there was originally no visual distinction between components like radio buttons and other selectors like tabs or checkboxes. 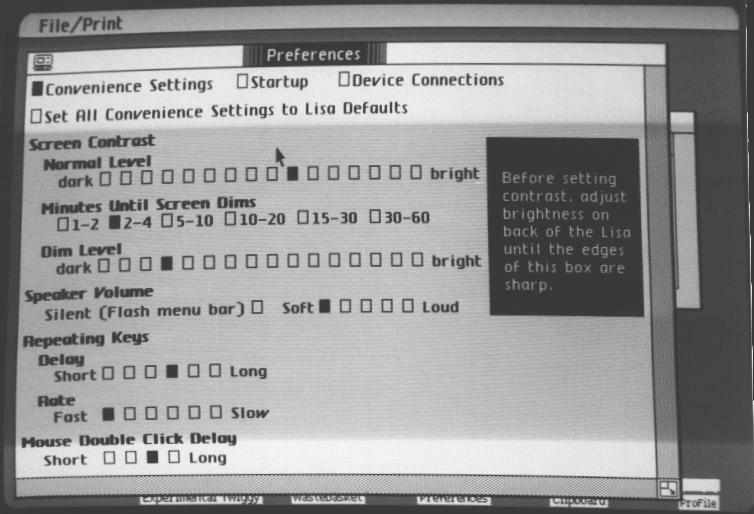 Somewhere along the implementation of radio buttons (whether it was in Apple Lisa, Apple Macintosh, Atari ST, or Commodore Amiga) this visual distinction was probably made to improve UX. As to why they're circular; it was probably a fairly arbitrary design choice that simply caught on. Note that on those pictures, some of those buttons are just regular on/off buttons, while others are actual "radio buttons" (the FM / AM buttons on the second picture for instance). 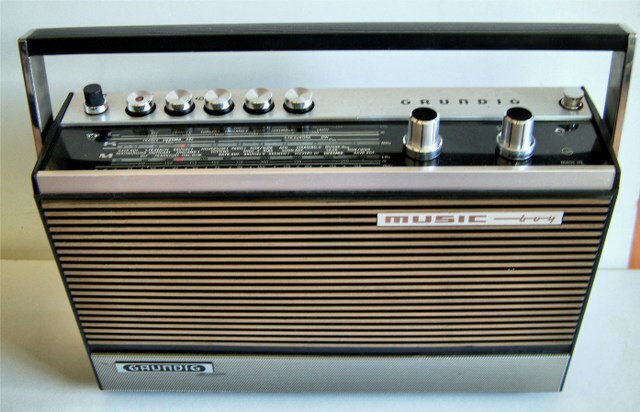 Can't find a picture of my dad's radio, but I distinctly remember it having several round "radio buttons". Circular radio buttons were never meant to visually resemble physical car radio buttons. From a visual perspective, they were probably originally intended to make sense next to checkboxes on a pencil-and-paper form. They may very well be inspired by Optical answer sheets such as those using Scantron technology, which have been in use since the mid-1970's. On these forms, the user is typically expected to fill in a circle with a pencil, and multiple answers in the same set are forbidden. 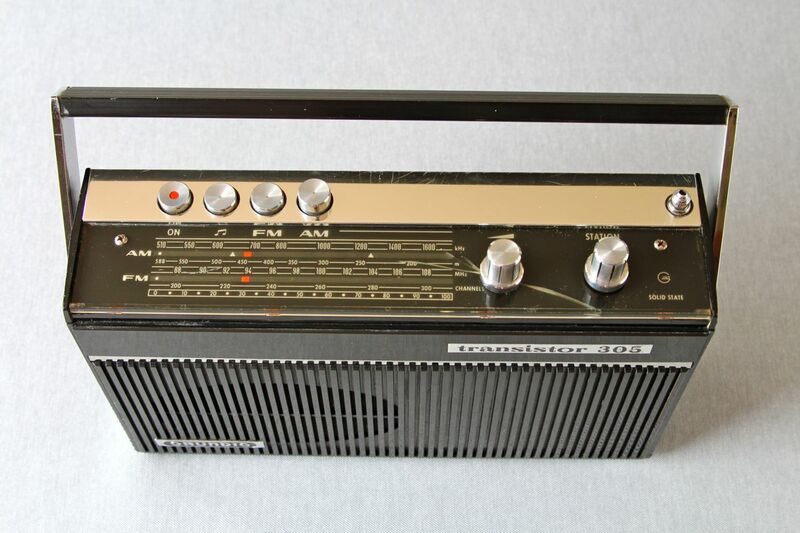 As a kid, I had this (then already old) radio receiver. The five smaller buttons are the preset buttons. The buttons are not just buttons, they're knobs. Each is a small tuner, to tune that preset. 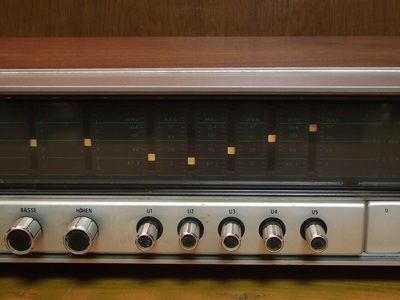 When one button is pressed, the other buttons pops up again, so only one button can be pressed at a time, as you can listen to only one station at a time. I can imagine the radio buttons having been based on this type of button. I doubt that it was visually intended to be particularly similar to any specific radio, or anything like that. It was a simple matter of having two different kinds of "things" to display: one that allowed you to choose only one item out of a group, and another that allowed you to choose multiple items from the group. They wanted a visual distinction between the two. That seems to have led Microsoft pretty directly to circle for one, and square for the other (and Apple copied followed their lead a few years later). As far as I know, the choice of which would use the circle and which the square was fairly arbitrary. It's possible that some other windowing system did this earlier, but I haven't been able to find any evidence of it. X was originally released a bit before Windows (June of 1985, vs. November for Windows), but under the "mechanism, not policy" philosophy, I don't think it provided actual controls, so it would have been up to an individual developer to do things like this. X was based on an earlier system named W, but it apparently followed roughly the same ideas as X (as far as UX goes--the implementation was quite different). 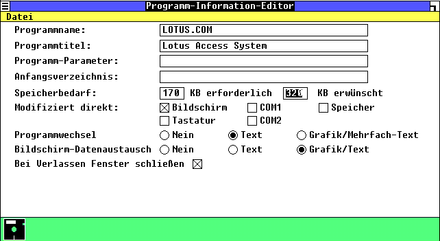 DR GEM also predates Windows, but all the early examples I've been able to find from it seem to follow (roughly) with the Xerox convention of something that looked like a normal button, but stayed shaded to indicate it was selected. I don't know if this counts as an answer, because it is only my opinion. I thought about that same question some time ago and I realized that circles, as opposed to boxes, can not be stacked. So, you can only select one. In other words, radio buttons are unstackable checkboxes (if that even makes sense). The Mac popularized circular radio buttons. Checkboxes obviously should be boxes. The other shape that QuickDraw could draw was circles, therefore the other type of control (radio buttons) became circular. If clicking a control will have no effect other than to add or remove a checkmark (or X) from the control itself, then it makes sense to describe the control as a "box" [checkbox]. By contrast, if the control can affect the state of other elements on the form (as with an exclusive-selection control) it makes more sense to refer to it as a "button". While both styles of control may have initially been square, having them be different shapes offered a useful visual distinction. While "boxes" are generally box-shaped (i.e. rectangular), "buttons" are often round. Thus, if one type of control had to have its shape changed, making the selection buttons round would make more sense than making the "check boxes" something other than box-shaped. This is just a demo, but you can imagine scenarios where using button-looking non-buttons could cause confusion, especially for users who are not very experienced with computers (because "buttons always change the window" or some other wrong idea which the users may have invented on their own). In real life we're limited by physicality, but in digital GUI we can make these radio buttons look nicer and their function more distinct from normal buttons by styling them as a circle with text next to it. At least that's how I understand the reasoning behind this design. 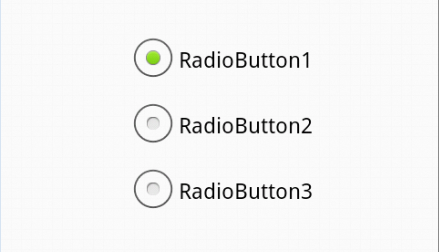 Radio button means we have to select something out of many options.So if it is circle one then we can easily select it with key up or down arrow.The main motive is to remove conflicts between radio and checkbox they have made it circle. Not the answer you're looking for? Browse other questions tagged radio-buttons history or ask your own question. Has iOS 7 changed the appearance of radio buttons?